This article was originally published by NewsWhip. What type of stories go viral on LinkedIn, and how does the algorithm impact the visibility of certain posts? Below, we take a closer look at the content process on the business professionals’ network. For some business-focused sites such as Forbes and Inc.com, LinkedIn engagement is beginning to rival, or even surpass, their shares on Facebook. Earlier this month, we looked at how LinkedIn has been investing in video capabilities. But video isn’t the only area of content that has been succeeding on LinkedIn. Earlier this year, Digiday reported on how business publishers were seeing growth in referrals from the platform. August seems to have been a banner month, with over 50 million shares of new articles. Indeed, we’re now seeing that for some business-focused sites such as Forbes and Inc.com, LinkedIn engagement is beginning to rival, or even surpass, their shares on Facebook. According to Executive Editor Dan Roth, the platform had three million writers and around 160,000 posts per week as of the end of 2016. Those articles either get distributed by LinkedIn’s in-house editorial team, made up of around 25 editors based around the world, or algorithms. 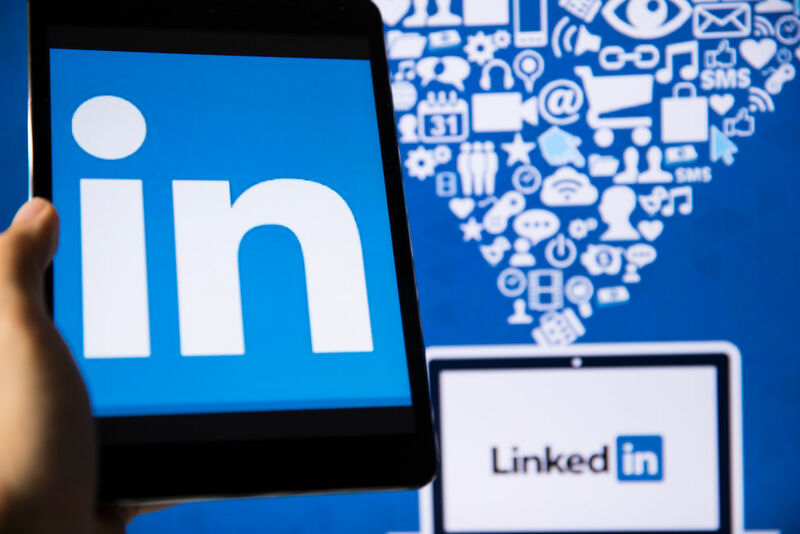 LinkedIn claims that 87 percent of users trust the platform as a source of information, making it an attractive location for gaining people’s attention. But what sort of messaging works on LinkedIn, and how does it get distributed? Unlike Facebook, there isn’t a whole lot of discussion about the influence of LinkedIn’s algorithm on what their users see when they log on. As with most algorithm-based news feeds, we can divide the question of why certain stories go viral into two sections. First, we need to analyze the actual substance, tone and presentation of the stories themselves. Second, we need to consider the distribution particulars of LinkedIn, the role of its algorithm and the influence that a writer or publisher can have on that process. Looking at the most popular stories of the last few weeks on LinkedIn in NewsWhip’s Spike tool, we can see that these type of stories also resonate when they come from publishers. Career advice and professional development insights are extremely popular. Being able to maintain these editorial standards is something that LinkedIn takes very seriously, and to reasonably good effect. You won’t have noticed LinkedIn mentioned very often in ongoing discussion about the spread of “fake news,” and the platform is not known as a place where viral publishers go to thrive. It’s also important that articles aren’t seen as overly promotional; it’s fine to mention where you work, or the product you’re building, but going overboard results in risking spam status and a visibility downgrade. LinkedIn isn’t trying to compete with Twitter for the breaking news audience, or Facebook for mass appeal. Its strengths lie in allowing users to develop thought leadership, and sharing content relevant to their careers. Developing a genuine persona on LinkedIn with expertise around a specific topic is a surefire way to build an audience base on the platform. LinkedIn also recommends that articles are at least three paragraphs long. Distribution of content on LinkedIn is an algorithmic process, and that algorithm is theoretically designed for engaging, interesting stories to go viral. In this sense, the algorithm isn’t all that different from the type that the bigger platforms employ, but it’s aimed at a more niche user base. LinkedIn is open about the effect that its algorithms have on content visibility in the news feed, using a “man+machine” approach to classifying content in real time based on signifiers such as early engagement, previous reaction to content from the page, and more. LinkedIn uses a feature called “FollowFeed” to help determine what gets prominence in users’ feeds. FollowFeed aims to provide high precision and recall, or relevance. For a technical explanation of how FollowFeed works, see this great detailed explanation from LinkedIn engineer Ankit Gupta. (Stories are) shared with a subset of your connections and followers. This is determined by connection strength, your connection’s notification settings, and notification state (i.e. number of unread notifications). Members who aren’t in your network can choose to follow you and by doing so they will receive your articles and posts in their feed. Followers may receive notifications when you publish an article. Your articles may be available in their LinkedIn homepage feeds and can be included in news digest emails. In an effort to simplify the notifications experience, we often aggregate notifications to your connections. So as with any news feed, there’s quite a bit at play behind the scenes in determining how many people will see and share your posts. Analyzing other success stories and changing techniques learned on other platforms can help in boosting your own signal. Ultimately, LinkedIn’s editorial mission statement is to provide timely and professional content to users. Those users can be divided into different cohorts – engineers, salespeople, executives and countless other – but timely relevance remains the key consideration. Liam Corcoran writes about digital journalism and media trends, metrics and more for the NewsWhip blog.